I got up at 5:45 am and packed my bag for Santo, my porter. 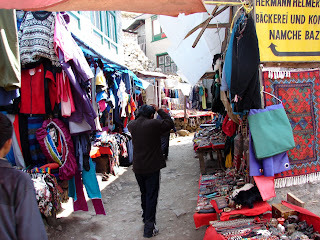 We left at 7:30 am and arrived at Namche Bazaar at 11 am. Much easier walking down. 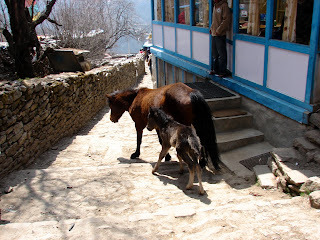 Today I spent the day shopping, relaxing and eating the best meals that I have had since my trek started. 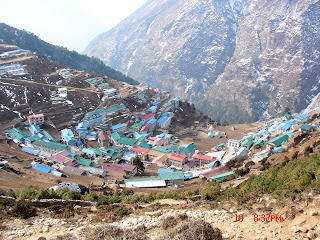 Tomorrow Lukla and then Kathmandu the day after. 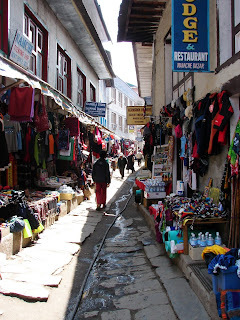 I went to the big local market but most things had closed by the time I got back after getting my camera. 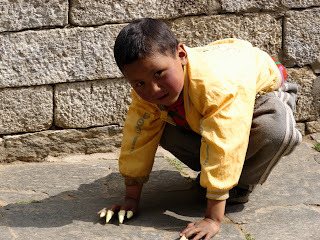 The little boy in the picture was outside my room growling and when I opened the door I noticed he had claws on like a tiger. 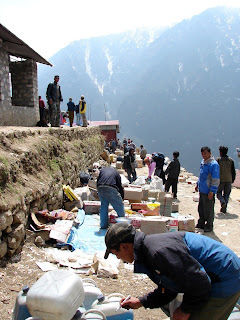 Namche Bazaar is the last place to purchase equipment, clothes and supplies for the trek. It is always busy and very beautiful.